An outward sign of beauty, tanned skin has become a fashionable accessory all year round. As long as we are talking about a natural tan colour, it catches the eye and gives an exotic and natural air, highlighting a person's physical traits or emphasizing the colour of the eyes or the hair. Nowadays, apart from the traditional sunbathing, there are many other effective ways to have a beautiful tanned skin: self-tanning lotions, creams, or tanning beds. Tanning lamps represent the fastest way to get a beautiful artificial tan. However, before undergoing such a treatment, it would be useful to know the advantages and disadvantages of this procedure. A tanning bed is a device that emits ultraviolet radiation (UVA and UVB), a radiation that stimulates the production of melanin (i.e. the pigment that determines the skin colour). While UVA oxidizes the melanin in the skin, thus producing a short-term quick tan, the UVB radiation increases the production of melanin in the skin and produces a delayed tanning (72 hours after the actual exposure). 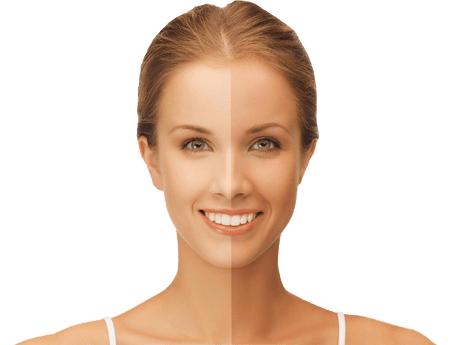 2 Tanning without UV rays (organic tanning): the method of tanning without sun exposure is performed using a spray, whose main components are: DHA (dihydroxyacetone), and Erythrulose. Treatment of skin diseases such as atopic dermatitis, seborrheic dermatitis, psoriasis, vitiligo, and acne. Photo-allergenic reactions characterized by erythema, blisters and itching. you are pregnant or you are breastfeeding. Use moisturizers after each exposure session. Specialists say that artificial tanning can have adverse effects on your health; however, uncontrolled and excessive exposure to sunlight is not a good alternative either. For the cheapest and safest way to tan please try our amazing tanning pills.